We all started with the intentions of just having fun yet until discovering the business side of whatever it is we’re passionate about, whatever we’re doing is only a hobby. Everyone in this modern world is looking for ways to make money as it is the means to our survival, at the same time we don’t want to lose our morality, that’s where the work comes in, however, one should work smart, instead of just hard. The information gathered in my experiences can now be found in the book TIM The Independent Musician. Now available on Amazon Kindle. Put The Almighty Creator 1st, Success Strategies, Business Ethics, Psychology, Women, Music, Soccer, Basketball, Music again & Music. Beats, Production, All around Music, Soccer, Basketball, Good Shows. Videos, Video production, Directing Videos & much much more. BOB MARLEY, TUPAC SHAKUR, NOTORIOUS BIG, PETER TOSH, MAXI PREIST, SHAGGY, SEAN PAUL, BONE THUGS N HARMONY, SIZZLA, CAPLETON, VYBZ KARTEL MAVADO, BOUNTY KILLA, BEENIE MAN, DENNIS BROWN, TENOR SAW, MICHAEL JACKSON. Terra Entertainment Group LLC. OfficialEmperor. 7AngelsMusic LLC. Sesac PRO. DJ Disspare, Street Killaz, Nerve DJ’s, VibeStar Sound, Strong Purpose. 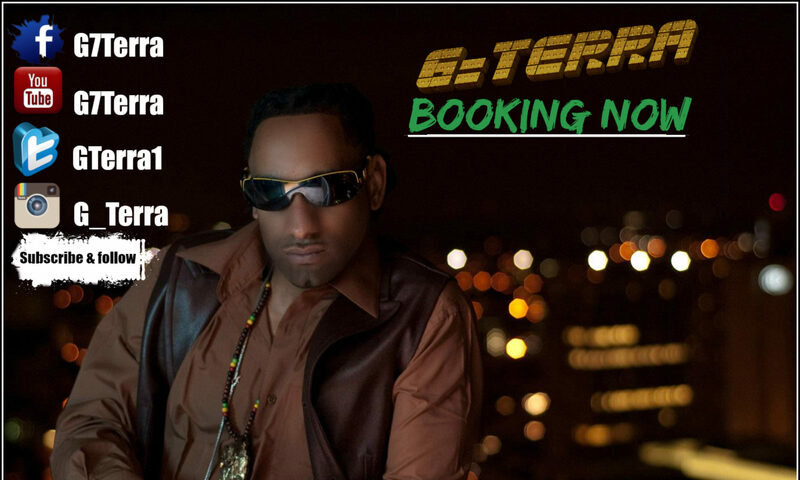 G-Terra is A Reggae Dancehall HipHop Artist Born and raised in Jamaica. A Man who is very passionate about music and has been doing it since childhood. Terra is Now achieving new levels of diversity because of the experimental ways in which he approaches songwriting and music overall. Starting out G Specifically catered to the streets & the patterns were noticed by the fans and since then he has been labeled A “Genius”, a very Unique Artist with Different sounds and styles of writing & delivering Lyrics & Melody. A Dancehall favorite on the musical scene. A lyrical professional with a One of a Kind Style mixed with Explosive Diversity. In spite of his reggae roots of Jamaica, G-Terra has been Pleasing Crowds of Music Lovers in separate Genres & has also Managed to Bridge the Gap between Reggae Dancehall & Rap, but still does Pop & other genres because when he 1st started doing music, he was told he had to choose one yet he wanted to do everything. Nevertheless, the songwriter has done Countless Live Shows, clubs, festivals, tour dates, at the same time selling gear in every venue & one thing for sure, he always gets the audience amped up no Matter what age Group. A Super Lyricist, Conversely, One Of the hottest new performing artists on the music market. NOW BOOKING GLOBALLY.